The TXCO-50 Series of carbon monoxide transmitters is a simple, accurate and very economical way to measure CO in the 0 to 50 ppm levels. For special ranges please consult Omega. The TXCO-50 sensor uses a special electro chemical cell to measure the CO concentration. 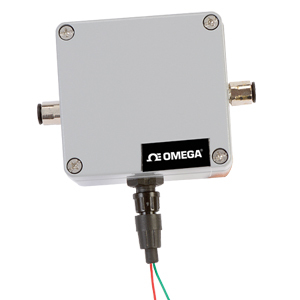 The sensor meets the industrial requirements for accuracy, sensitivity and ease of use. The transmitter comes fully calibrated and requires no calibration for two years. After two years the TXCO-50 can be calibrated with a CO gas. Typical sensor life is up to 5000 ppm hrs. Preços indicados em Reais e já incluem todos os impostos e taxas de acordo com a legislação vigente. Nota: Comes complete with operator’s manual.